Looking to purchase a Margay. Do you have any or a source for one? Ok, so if i want to buy a margay tiger cat, where should i go to, meaning a best place to go to.. I have a low income but can manage money to keep the cat well taken care of, i also want to get one for cheap if possible. thank you. I would like to purchase one , where are u located? I am interested in adopting 2 Margay Tigers. I am having a difficult time finding a breeder. Any information would be greatly appreciated! You never responded to my first e-mail about purchasing a cat or two for pets. Please respond. Where am i able to buy one of these cats? A Margay Tiger Cat please ? I am looking to purchase a Margay for a pet. is it available? and if so for how much? My aunt was married to an airline pilot who often flew international flights. Through friends, he was able to adopt a Margay kitten who's mother was killed by poachers for her fir. This cat was loved and handled all the time. As little kitty (tika) matured she grew more and more wild and we saw first hand why some cats do not make good pets. Lovely kitten / crazy adult cat, very strong and when they swat, they follow through and they can slice you like a loaf of bread in a split second. Also when they play with you they get excited and they pounce biting down on whatever they grab (your leg or your arm) and they wrap around with their front paws and then they shuck you with their hind claws like a corn husk and they rip skin right off of you. and they're just playing. You have to learn never to pull away, it makes it worse. You have to learn to hold still while the cat has you until kitty kitty decides to let you go. 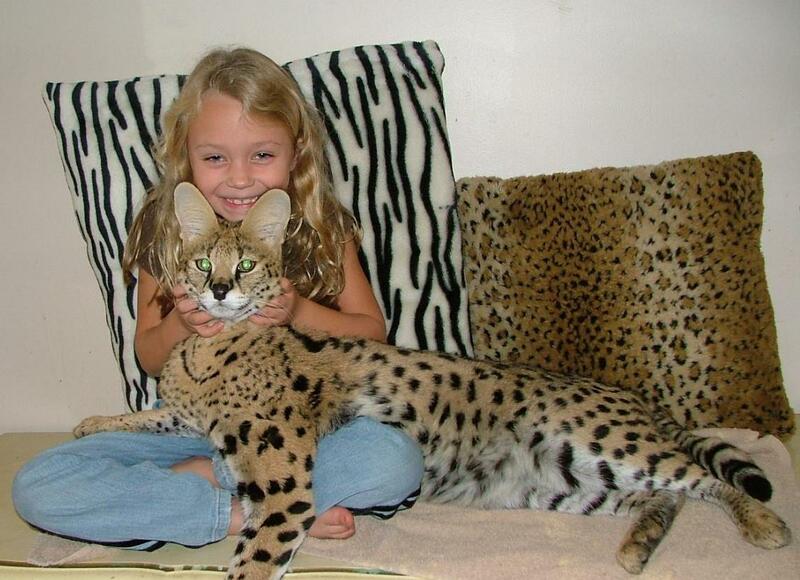 A margay gets bigger than a house cat. They're longer and a lot stronger. This is a wild animal. Very cute but a small leopard never the less! Go see an adult cat and spend some time getting to know one before you commit! Way NOT safe around children! how can I get one and where are you? i dunno bout this seller but i am currently emailing a different seller about savannah cats, she says they also have margays and ocelots available but more specifically 2 margays available right now. I dunno how real she is but she seems very professional and very timely and is from Atlanta GA her email is : ***.... shes worth a try. you people are crazy. I cannot understand why you want a wild animal, who can hurt you or anyone else in such a manner. Why would a person bring a predator into their home? One day it could decide that it is hungry and u will wake up without a limb! People pay attention and take heed to this warning. U will suffer greatly if u bring a wild animal into ur home,..and u will deserve it too! you stupid moronic people, do you know how dumb you sound??? "I want one!" My 4 yr old child has more sense! Go buy it cos it looks 'cool', realise your mistake when it wrecks your house and hurts your kids, then dump it on animal control where it will no doubt be killed. Grow up!! Is it a free adoption, if not how much. And do they come with shots? Hi, Im looking forward to by one of the exotic cubs you have listed for sale. Just if it is possible to get a quote for price from you and where is your location? Are you people that naive. This is another Scam site. I love ocelots they are sooooooooooooooooooooooo cute and fluffy and i wont to bye one sooo ya if tou have one e-mail me at ***@hotmail.com and how much they are pleas. just remember if you have one or know somone who does e-mail me eny time. 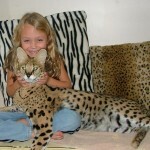 im very interested in either purchasing a ocelot or a serval but i was curious on your pricing?